“Candle Warmers Etc. was established on the principle of safe candle use. Founder Bart Kennington brought the first plate-style warmer to market in 2001 after a neighbor's house was destroyed by a candle-sparked fire. Our "Practice Candle-sense, Go Flameless" public awareness initiative is aimed at increasing the consumer's understanding for how to safely enjoy candles and we offer the following candle safety information, tips, and resources. I absolutely love the smell of candles. I love to change the scent based on the weather, the holiday, or just my mood for the day! What I do not like about candles, however, is the risk of fire. Did you know that each year an estimated 23,600 fires are caused by candles? That is scary!! At Candle Warmers, practicing “candle-sense” is their #1 focus. That’s why all of the products that you will find at www.candlewarmers.com are flameless. They have numerous types of candle warmers available, from lamps to warming plates that allow you to have a great-smelling home without compromising your safety! You can also find great resources on their website and blog with greatcandle-sense tips and resources. 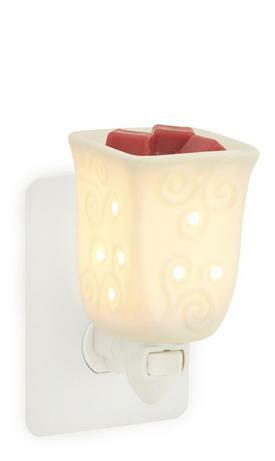 I received the Candle Warmer & Dish and Plug In Fragrance Warmer with 2 scents of wax melts for review, and I love them! The designs are beautiful and they work perfectly. The warmer heats the wax melts evenly and the scent lasts for a long time. The Plug In Fragrance Warmers also work really well and looks really nice plugged into the wall. These warmers not only bring a nice scent to my home, but they serve as gorgeous pieces of décor that adds to each room individually. I truly love the Candle Warmers products that I received, and I have received multiple compliments on them since I have had them. They are made well and I feel sure that they will last quite a while. I would highly recommend Candle Warmers to anyone. They are a safe solution to burning candles in your home. Why take such a huge chance when you don’t have to? Go flameless and find out what everyone is talking about. I’ll bet you never go back to burning candles the old way again! WIN IT! 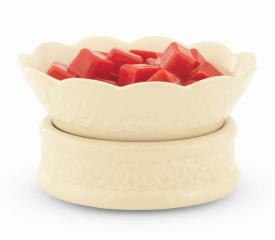 One lucky reader will win a Candle Warmer & Dish in Red Rock and wax melts! I'd like to try the Jamie Clair Fine Fragrance Candles, especially the Jasmine Tea. I would like to try their Green Fleur De Lis Illumination candle warmer. I also like the Cherry blossom scent. I voted for your blog on Picket Fence. I like the Tin Punched Candle Warmer Lantern. I'd like to try the Jaimie Clair Candle in Lily Of The Valley. I like the Aurora Candle Warmer Lamp! I would love to win the hurricane lamp that is beautiful. I would like to try the Jamie Clair Fine Fragrance Candle in Clementine Ginger. The description of the scent sounds so yummy! im following candle warmers ect on twiiter giveawayjunkie. I love the Candle Warmer Crocks. I follow you on Google + as Jaime G.
the imperial meadow plug in warmer. i like the Illumination Fragrance Warmer. I'd love to try the Auto Shutoff Candle Warmer. I would like to try their clementine ginger scent. I also voted for you on the picket fence today! I like the faith, family, friends crock. I love the Tin Punched Candle Warmer Lanterns. i also like the Ceramic Candle Warmer & Dish Herbal Ginger. I would also love the to try the wax melts scented Through the Woods. I entered the Vitalicious giveaway. I entered the Pedi-Sox giveaway. I entered the Mommy Bus giveaway. I entered the LEGO giveaway. I would like the tea light oil warmer. Tanks for the giveaway. I would love to try the Jamie Clair Wax Melts in Island Breeze. I like Candle Warmers on Facebook. I adore the Santa Warmer and would love to try that! I would also like to try the Jamie Claire lily of the Valley candle. I'd like to try the the Imperial Meadow plug in! End of May Twitter Giveaway! UMI Site Wide Clearance Sale! Don’t Miss The Great Sandal Sale at Umi! 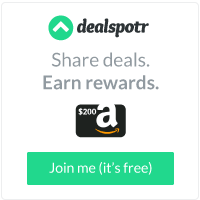 Avoiding April Showers Giveaway Hop WINNER!